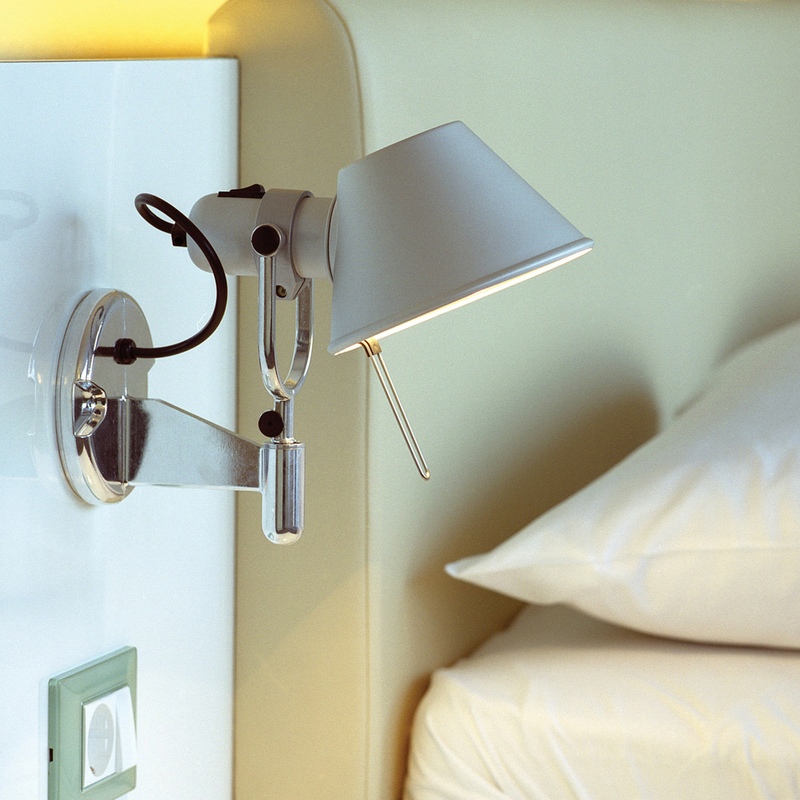 The Tolomeo lamp by Michele de Lucchi and Giancarlo Fassina, produced by Artemide is an icon of Italian modern design. It was designed in 1986 for the Artemide company. In its original configuration, it consists of a heavy base, two straight polished aluminum arm sections (each approximately 45 cm long), and a matte aluminum reflector head which can swivel 360°. Steel tension cables attached to springs hidden inside the arms complete the constant-tension structure. Tolomeo is the Italian version of the name Ptolemy. In the dot-com period, it became popular as a symbol of conspicuous consumption and high design consciousness in high-tech companies as well as in architectural and graphic design offices. It won the Compasso d'Oro design prize in 1989.